owayo pant shells HP5 are 100% made-to-order, and made out of high-grade nylon. All pant shells are equipped with a stretch insert in the groin area to maximize movement and performance. A sturdy built-in belt creates the perfect fit and hold. 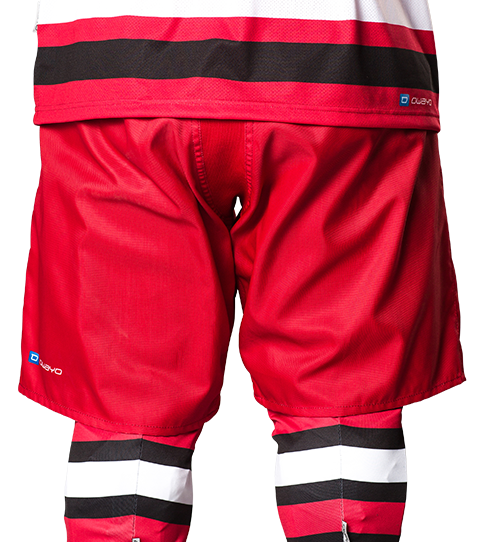 The H5 Pro Hockey Pant Shells are functional and fast drying as well as light weight. 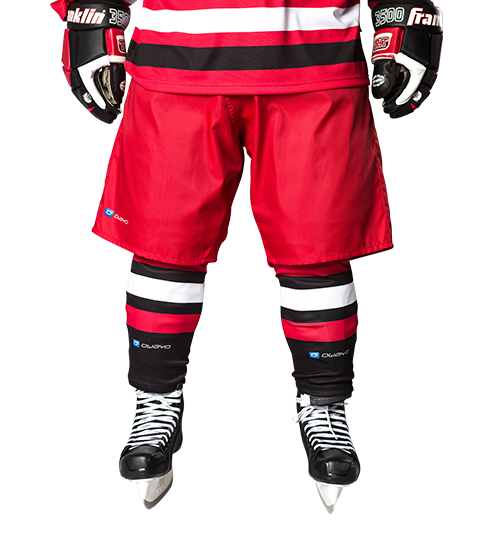 They fit comfortably over the top of Hockey Pants and Girdles and feature a stretch inseam to provide a maximum range of motion. 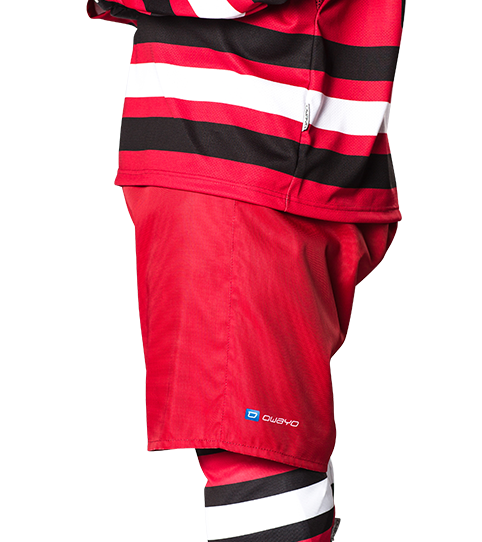 They can be customized as needed making it easy for players to have matching pants even when playing on multiple teams. Default Features: . For this product, you can pick between various options. The following surcharges and discounts apply per piece. 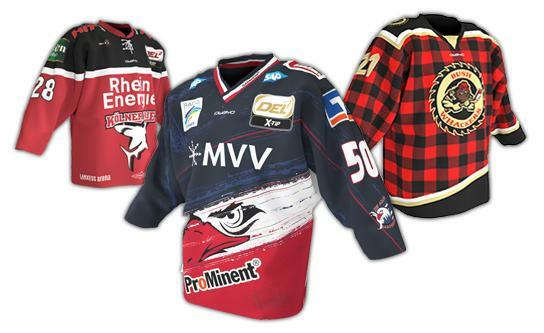 Different product features, for example Sewn on Sponsoring Boxes (set of 2), Sponsoring Boxes with velcro (set of 2) can be cumulated, when ordering at least 5 of each variation. When ordering 15 of one variation and 5 from another variation of the same product, you will receive the unit price for 20 items. For the unit prices to cumulate, you must order at least 5 of each variation.